We will come to a point in our lives when we have to get a job. Companies have varied methods in screening and choosing their prospective employees. Some of them may want interviews and demonstrations. There are also those who also prefer documents. One of the most common documents applicants submit is a resume. A resume is a document that features pertinent facts about yourself. It contains your name, age, contact details like your cellphone digits and email address. It also has details about your educational attainment and merits. 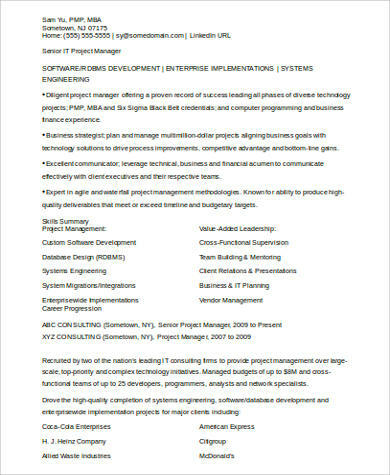 Below are Sample Resumes you can browse through and download for free. It serves as a summary of your qualifications. 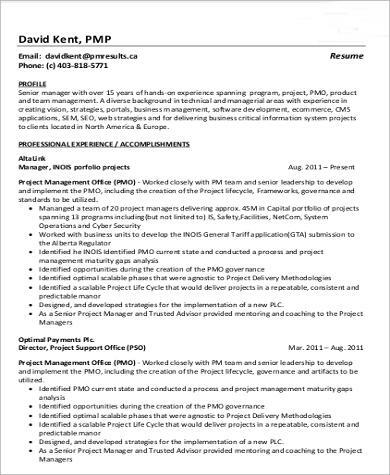 Resume is a term derived from the French language. It means a summary. By its very definition, it is a brief yet detailed presentation for all the reasons why your prospective employer should hire you. It serves as a preparation for an interview. There are employers who base their questions in the interview from your resume. Thus, answering their questions will become easier knowing that they are in the document you presented and all its contents are things you have already experienced. It gives you a sense of order. You know your skills and personal experience, therefore you know what sort of jobs you may want to apply for. Apart from complying the necessary documents in applying for a job, it is also important for you to know the sort and nature of the job that you are trying to apply for. You also have to be aware of the skills and qualities that the company is looking for. You should be a visionary. You should know where you want to take and lead the project; after all, you are basically the captain of the ship. You should also be creative and inventive. Communication is a must. You should know how to talk to your members or teams. You should be clear about expressing the goals of your endeavor. You should exude passion. Be enthusiastic and optimistic. Do not forget to spark inspiration to your team. Remember these qualities. 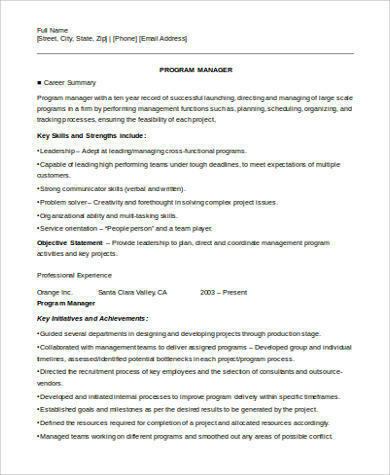 Make sure that your resume reflect the characteristics and qualifications a good program manager should have. 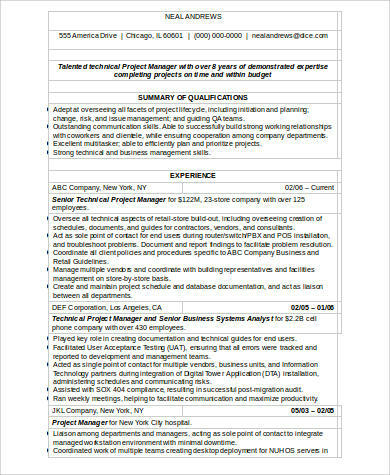 We also have other resumes that have more or less the same to program management, like Sample Project Manager Resumes. 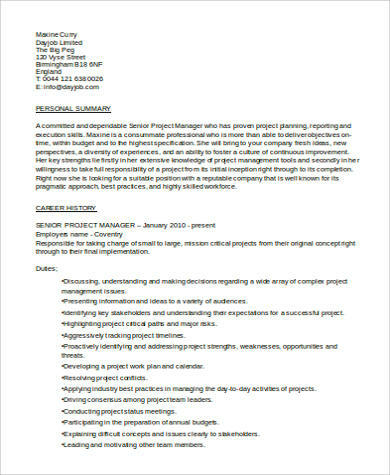 Chronological Resume – this is the sort of resume that enumerates your work history first, starting from the most recent—basically in reverse chronological order. Functional Resume – this is the sort that puts your skills and experience into focus. 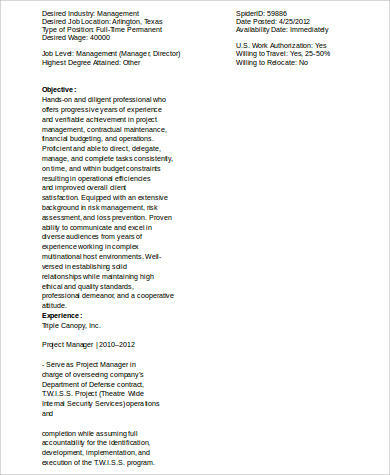 Combination Resume – from the word itself, it is a mix between the chronological and functional. It highlights both your professional history and your skills. 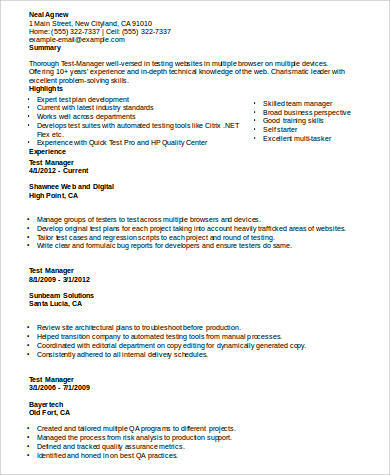 We have more resumes to cater to any profession, you have been eyeing on such as, Sample Technical Resumes.